Ok. I’m not going to lie. I could NOT work in sales. My BS meter is wayyyy too quick to register. I would not be the gal closing sales. That’s why I’m super excited for today’s live author Q&A with Tom Martin. He’s going to teach me alll the tricks of the trade (even if there’s not much he can do about “that look”). 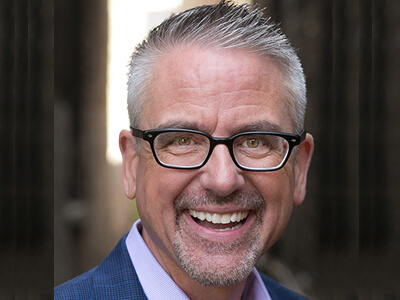 And he’s going to do the above by answering all my questions—and yours—relating to his most recent book: The Invisible Sale: How to Build a Digitally Powered Marketing and Sales System to Better Prospect, Qualify and Close Leads. Interested in building a highly automated digital sales prospecting system that attracts more qualified leads, shortens sales cycles, and increases conversion rates? Well, who wouldn’t be, right? 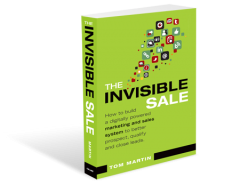 In The Invisible Sale, Tom walks you through all of the above and more, and includes case studies and simple templates to help you get the most out of your marketing and sales. Leverage funnel optimized website design to identify your prospects’ key challenges before you ever speak to them. Integrate social media, content, and email to optimize the entire prospecting process. 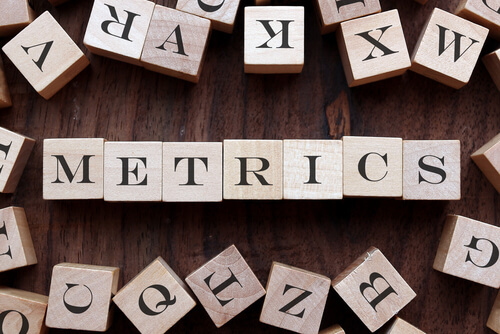 Make every sales call count with behaviorally targeted email prospecting. 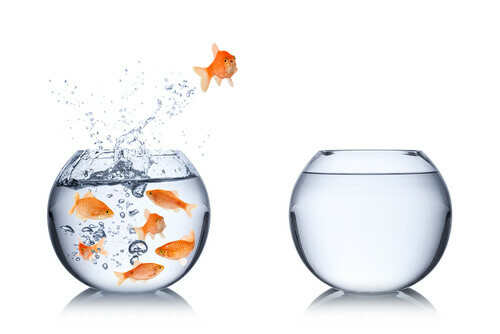 Leverage Twitter, Facebook, and LinkedIn to efficiently “prospect at scale”. Use the science of propinquity to choose “outposts,” strategize social networking, and drive offline campaigns. 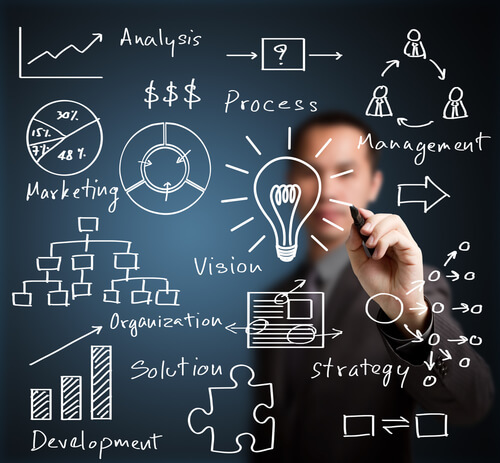 Save money by rightsizing production quality to each marketing requirement. I’m not sure what Gini Dietrich’s criteria were for her scheduling of this year’s author Q&As, but ‘love of booze of some sort’ is my own criteria! In my humble opinion you can’t have a good debate without a stiff drink, preferably single malt, and according to Tom’s Twitter profile, it he is thoroughly onside with same. Yay! He’s also super smart. 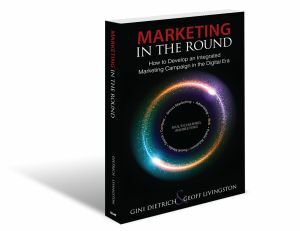 An early adopter, he’s been on the cutting edge of digital trends for more than 20 years, helping digitally challenged companies understand their digital marketing options, and showing them how to integrate digital into their traditional marketing to convert more customers. So, if you are like me, and couldn’t sell ice to (insert politically incorrect stereotype here), you’re dying to know what propinquity means without having to Google it, OR you are looking to make improvements to your lead generation campaigns, be sure to join us today at noon EST for the live Q&A with Tom Martin. At noon ET (that’s 11:00 CT, 10:00 MT, and 9:00 PT for those of you who can’t do time zones), Tom will be here to answer any and all of your questions. 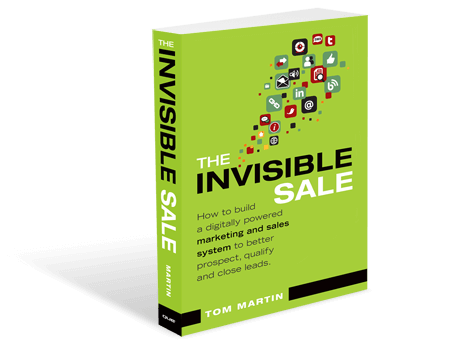 Order The Invisible Sale so you can support Tom and get your learn on. 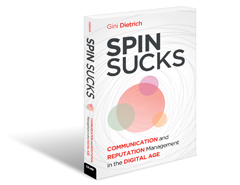 For former guests, check out Margie Clayman, Sarah Robinson, Mark Story, Beth Hayden, Sarah Evans, Stanford Smith, Chris Brogan, C.C. Chapman, Mitch Joel, Danny Brown, Chuck Hemann, Michael Brito, DJ Waldow, Tom Martin, Ahava Leibtag, Jay Baer, Shel Israel, Mark Schaefer, Gini Dietrich, Rob Biesenbach, Steve McKee, Neal Schaffer, Ed Zitron, Ann Handley, and Tim Frick.